Sounds like an oxymoron doesn’t it? 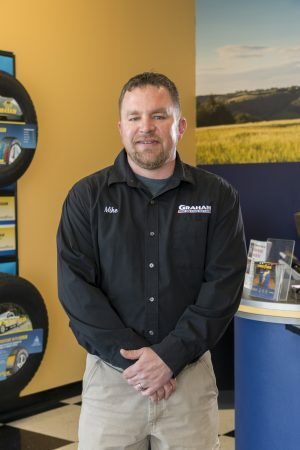 David manages the Graham Tire store at 68th & O Street in Lincoln and is the most recent member of our management team. He came up through the ranks the old-fashioned way, starting out as a tire tech in 2002. Hard work and attention to detail kept his career advancing. Although he was deserving of a shot at store manager sooner than it came along, David would bide his time, waiting for someone to move on or get moved out. His opportunity finally came in 2017 and he is making the most of it. 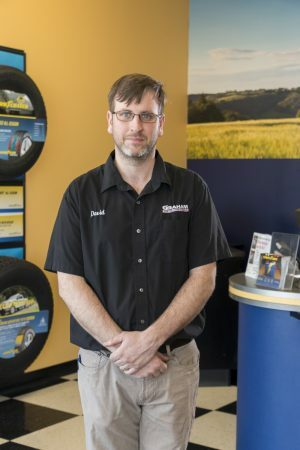 David and his staff have one of the highest customer service ratings in the business. He would really appreciate the opportunity to earn your business, as well. 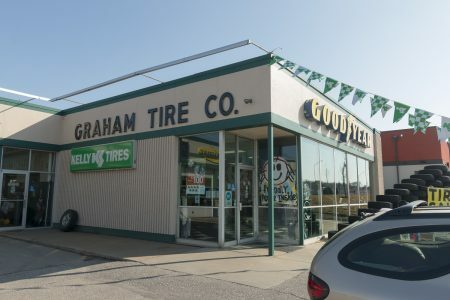 Vern leads a crew of 13 at the Graham Tire store at 14th & Cushman Drive, just South of Hwy 2. Vern was our first Y2K hire, starting in January of 2000. 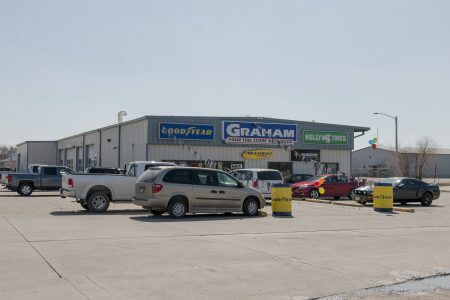 His common-sense approach and ‘can do’ attitude, combined with high character and a willingness to serve is reflected in all areas of his store. Vern would love to add your name to a long list of satisfied customers. Just don’t call him when the Huskers are playing. You may not have his full attention. 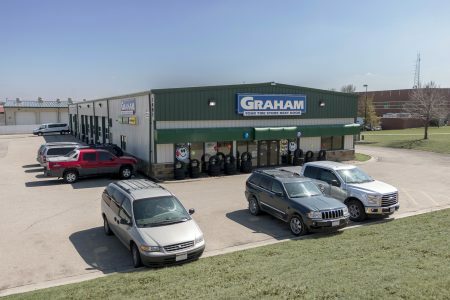 Mike joined the Graham Tire team in 2007 and manages the newest store at 62nd & Hwy 2, next to Lowe’s. When not leading his team and delivering ‘world class’ customer service, Mike spends much of his time raising cattle. It’s not unusual to see Mike limping into work or wincing a little as he lifts a tire into place after going a few rounds with a bull the night before. 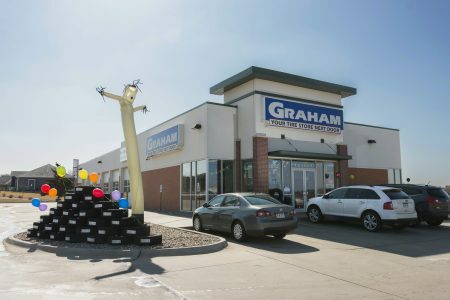 His work ethic and sense of humor set the tone for the crew at our flagship store, which features one of Graham’s two Express Lube locations. 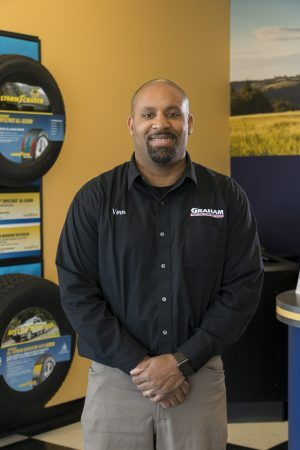 Mike joined the Graham Tire Team in 2006 and is currently running the retail division at the 20th & Cornhusker location. 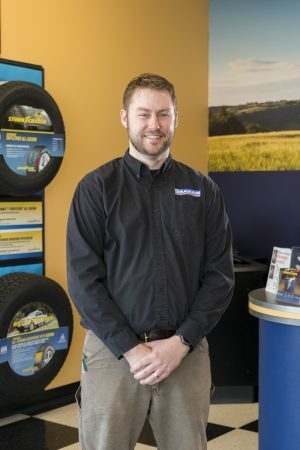 Mike is driven to succeed like few people that you will ever meet and fully understands that the success of his store is tied directly to exceeding the expectations of his customers during each and every visit. It is rumored that when he interviewed for the position of store manager and was asked where he wanted to be in 5 years, he replied to the General Manager, “I want your job”. Mike enjoys coaching youth sports when he is not taking care of your automotive needs.